David Michôd's post-apocalyptic drama The Rover is set 10 years after a global economic collapse that devastated many citizens across the planet. And now you can take a closer look at the apocalyptic origin that was the beginning of the end. 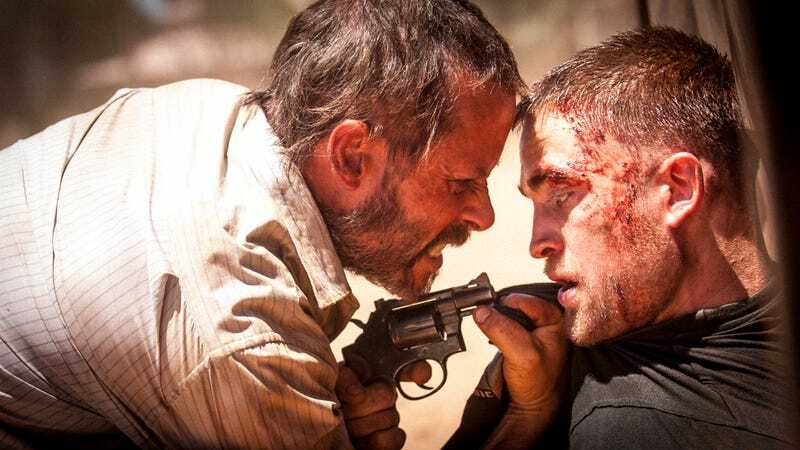 The Rover, itself, is set in the Australian outback and focuses on a couple of struggling survivors who have to fight each other for the meager rations and possessions they've managed to hang on to through the last 10 years. But a more detailed website has been created for The Rover that tracks the collapse of society. The timeline (which we have a few screengrabs of below) shows the fall that "reduced Australia to a dangerous resource-rich third world country." "The world of the movie, as such, mirrors the American and Australian gold rushes of the 19th century. People are drawn to the land's mines and with them come the leeches, the refuse, the hustlers and criminals who hope to exploit the mines' margins. This isn't a complete collapse of society - it's an inversion of present-day global power dynamics. This is Australia as resource-rich Third World country. This is the violence and unrest of contemporary Sierra Leone or the Democratic Republic of the Congo. And at the centre of this world are two men - one, a murderously embittered Australian man, a former soldier who has lost his farm and his family; the other, a simple and naive American boy, too young to remember a time when things were anything other than what they are." It sounds interesting; we like that he's put this much thought into a smaller cast drama. Fingers crossed it delivers. The Rover will opens June 13 in New York and LA and nationwide on June 20.